The doors finally open as Mara carefully steps forward, looking around as a row of lights come up all the way to a throne. And there sat on the throne with two lions sat in front of her is Elizabeth Lannister. She points towards Mara as the two lions roar and launch towards the camera before we cut to the live broadcast to see…...the exterior of a nightclub where Zack and Lyn are bundled up in the cold outside the door. Zack: Hello there, everyone! And welcome to the final Future Shock of 2018. As you can see, we’re more than a handful of miles away from the Future Shock Arena outside the Tunnel Nightclub, one of Boston’s hot spots. 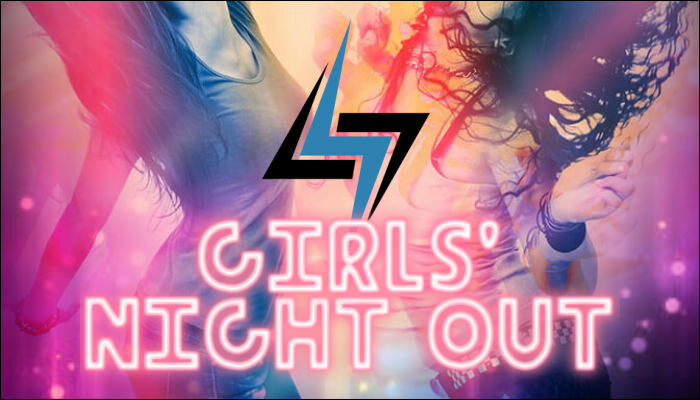 Tonight, Future Shock presents Girls’ Night Out. Zack Hudson and Lyn Dallins here, who may not be here after tonight. Lyn, always glad to see you and we got another Future Shock field trip tonight! Lyn: Pfft, I’ll be here Zack. Trust me, I’ll be here... I think. No, no, I’ll be here. Zack: On tonight’s show, we got a first ever mixology challenge judged by a professional bartender when Lacey, Luna Cortez, and the visiting Luci from SVW all try their hand at making a drink. Lyn: We’ll see who can match wits and mix cocktails with the best of ‘em. I hope someone makes a Tokyo Tea. Zack: We also got ourselves a karaoke challenge. You heard that right, we’re gonna find out which of our Prospects can carry a song without a handle on it! You’ll see Cait Flanagan, Elizabeth Lannister and “Li’l Pixie Pump” herself after a stunning performance, Nora Harris. Lyn: If Elizabeth sings the “Rains of Castamere” I’ll give Steph the job, because there’s no reference I’ll be able to make that will top that ever. Zack: We also have a trivia challenge of Future Shock history with three of it’s most decorated women competing. You’ll see the Future Shock Champion twice over Harley Shannon, the Aspire Champion oozing with charisma, Lydia Charisma! And last but certainly not least, the “One Percenter” of the Gold Standard Valerie McKinley will be participating. Lyn: I’ll bet anything these three have been brushing up on their history lessons... I tell you man, people love the Trivia Nights at some bars. Zack: We have a who’s who of special guests here tonight as well, Lyn. That list includes none other than Rose City’s Chance Kennedy, the “Living Doll” Britney Anders who will be singing, Luci as mentioned, SVW’s Wilma Iris Napier, and Riley Savell. Lyn: ...They’re all in the VIP section aren’t they? With the complimentary bottle of vodka on ice? Zack: I’m starting to feel like a weatherman on location out here. We got a lot in store tonight, so what do you say we get out of this weather and head inside, Lyn? Lyn: I’m with you, I think I could use a scotch on the rocks... Maybe a double actually. The door opens for them (thanks to a bouncer) as the two broadcasters make their way inside, and are finally able to pull of their coats. The camera swings around to show the interior of the club with brightly colored lights in the ceiling, a bar, a dancefloor, and also a few tables. Several familiar faces to wrestling fans are also shown inside. The shot then turns back to the guys. Zack: There won’t be any sitting around tonight, Lyn. We’re gonna be moving around and catching all these challenges. As a matter of fact, let’s head to the bar as I see our bartender is getting set up with the three ladies participating. And hey, there’s your ex-wife with him. The shot cuts to the bar, and there we find Luna, Lacey, and Luci all seated side by side on the stools in their club dresses in front of the bartender, Kevin. On his left behind the bar is “The” Steph Stefano. The shot cuts to the bar, and there we find Luna, Lacey, and Luci all seated side by side on the stools in their club dresses in front of the bartender, Kevin. On his left behind the bar is “The” Steph Stefano. Kevin puts the ingredients on the bar in front of them. Kevin: Alright, ladies. Here’s how this works. You’re each going to make the same drink, nothing too difficult with the same ingredients. Whoever makes it the best wins, and my lovely girlfriend here will be the taste tester. Kevin: What we are making tonight is called an Americano cocktail. It’s only got three ingredients to it, it’s up to you to figure out how much of each you need to make it perfect. That’s what these are for. He gestures towards a bottle of Campari, sweet vermouth, and club soda before serving each of them a small glass. Kevin: Would you like to pick the first contestant, babe? Steph: Alright how about... Luna. Show me what you got. The “10 Star” Prospect gives each of the three ingredients a look before she grabs the bottle of Campari, filling about half the glass full of it before she sloshes in a splash of vermouth and then fills it to the brim with club soda and looks at the other two with a smirk. The other two don’t seem too impressed as Kevin slides the glass to Steph, trying not to spill it since it’s filled to the top. Kevin: Usually you leave a little room at the top for someone to sip it without pouring it on themselves, but anyway...Steph! Steph: Fun fact: this drink is the first Double Oh-Seven orders in Casino Royale. The Witch of Wall Street is careful to dip a pair of black straws into the drink made with Italian liqueur and sips then... Flinches. Steph: That... Hrnk. That was not shaken or stirred. Kevin: Hmm, alright, Let’s see if Luci can do better. Make your best shot….so to speak. The Australian is about to begin as we see Wilma tap Lacey on the shoulder, and whisper something in her ear. The redhead holds up her finger as she slides off the stool. As she walks away, Kevin and Steph look at one another and back to Luci. The Australian pours in a couple splashes of vermouth and Campari, much less than Luna did. Then she douses it all with at least an ounce of club soda. Luna gives her an eye roll when she sees how proud Luci seems to be. Kevin slides the drink to his girlfriend. Kevin: Luci decided to be a bit more conservative with her ingredients, see what you think, gorgeous. Steph doesn’t use the straws since this has the right amount to lift and sip from the rim of the glass. Steph: Not bad, not bad at all. Luci you might have a future in mixology. As Steph finishes, Lacey comes back to the bar and slides onto her stool with a confident smile on her face. Kevin turns his attention to the co-holder of the Future Shock Tag Titles. Kevin: Alright, you’re up, champ. Lacey seems to be talking to herself as she grabs the Campari, pouring about 1.5 ounces of it and the vermouth. And then she adds about 3 ounces of club soda. She even grabs a little red straw and stirs it before sliding it to Steph. Kevin’s eyes widen a bit at the extra touch before handing the drink to her. Steph: Without a doubt this is the BEST Americano I’ve ever had... In Boston. Kevin: Looks like we have a winner then. Congratulations to you, Lacey! Lacey: What else did you expect but perfection? The redhead slides off the stool with a cat like grin, and walks back towards her best friend with a little high five between them. Kevin glances back to his girlfriend with a curious look, who looks down at the drink Lacey made. Kevin: You don’t think….she actually cheated at this, do you? Steph: That or Wilma gives the most legendary pep talks. Another glance towards the two grinning to each other is shown before Future Shock takes it’s first commercial break. Future Shock returns from the commercial break, and we find Sara with one of the special guests and clearly one of her biggest supporters. Sara: I’m here with one of tonight’s special invited guests, Wilma Iris Napier of SVW as well as Kyle Kilmeade. As we all just saw before the break, it appears that Lacey was given an unfair advantage during the mixology challenge. Kyle gave Sara a look as though she just said something crazy. Sara: My question for you, Miss Napier, is did you help Lacey win the challenge by telling her how to make that drink? Wilma chuckles a little bit and shakes her head before addressing the clearly ludacris question. Wilma: Of course I didn’t, if there’s one person in this place that knows her dinks, it’s Lacey! Just because the other women couldn’t get it right doesn’t mean that Lacey had to get help! Kyle: Who are you to accuse Wilma of doing anything like that? Do you know who she is? Do you know where she comes from? That’s insulting, Sara. Sara: Then what was it that she needed to tell her in the middle of the mixology challenge? Wilma: I don’t see how that’s any of your business? But if you must know, I was simply letting her know that I had received an email about our reservations tomorrow night, she had to know what was going on, you wouldn’t want her getting lost would you? Wilma seems annoyed at Sara but keeps speaking, taking out her phone. Wilma: There are lots of little steps to prepare for when you plan for a vacation so close to the holidays and we needed to be on the page. There’s nothing wrong with that, is there? Hmmm? Kyle: Sara, I know you don’t get out much. But this is a very exclusive place we’re talking about here. And besides that, Wilma here is a GUEST. That means you don’t get to give her the third degree with all your paranoid conspiracy theories. Wilma: Now if you want to ask me how proud I am of Lacey for coming away with that win I’ll be more than happy to tell you, I’m ecstatic about it, couldn’t have happened to a more deserving person! She brings her hand up to her earpiece with a confused look before looking to the camera. Sara: There’s something going on, we’re dispatching a camera right now. Something has happened to---we’re going now? The shot then cuts outside the women’s restroom where it sounds like something is being knocked around. A scream is heard before it all goes silent. Security heads towards the door, where one of the women goes to open the door before a muscular woman stalks her way out. She gives the security a look as if daring them to touch her before she walks towards the bar. She snatches a bottle of whiskey out of the bartender's hand, takes a swig....and keeps going with it right out of the door. Two of the female security head inside to find Katie Keller laying on the floor holding her head. Two of the stall doors have dents in them and a broken mirror is on the floor next to her. Zack: Who the hell was that woman?! And what did she do to Katie? A medic heads into the room to help Katie before the camera zooms in to see the broken glass shards around her head and little drops of blood. The show then fades to a commercial for the replay of Global Wars on Pay Per View. The camera heads over to the dance floor as we see quite a few enjoying themselves before Christian Kincaid gestures for someone to join him. A striking blonde does just that as he gives her a hug. Christian: Glad to see you, we don’t get to hang out together nearly enough. I want to introduce you to….the Future Shock faithful. He turns back to the camera to introduce her. Christian: I’d like for you all to meet Chance Kennedy, a client of mine who is here tonight for Girls’ Night Out. She competes in Rose City, and is no stranger to success there. All of you watching, meet Chance. Chance: Hello, Future Shock faithful! It’s so nice to be here tonight. I’m super excited. Christian: Tell them all about yourself. Chance: Well, aside from being yet another CK running around here, I’m the current RCW Artemis Champion, which is pretty cool if you ask me. But I don’t want to run down a laundry list or anything; I’d like to think I’m not a total stranger to the Future Shock fans. Christian: Those of you who watched the charity show on Velocity a few weeks back to benefit research on pediatric cancer will remember Chance because she was the special referee that night. We raised a ton of cash that night. Chance: We did. I was so proud to have a little part in that night, it was for a good cause and I had a blast,which is why I jumped at the opportunity to be here tonight. I can already tell it’ll be two-for-two on that front. As Christian was about to continue, they were joined by the Future Shock Director. Adam shook Christian’s hand and then Chance’s. Adam: It’s a pleasure to meet you, Chance. Your manager has a lot of talent all over the place, but you’re the only one I haven’t met yet, I think. Christian: Yeah, I think you’re right. Chance: You are. It’s nice to meet you too, Adam. Adam: Not to interrupt what was going on, but I think I might have something in mind that could be perfect for Chance. Would you mind joining me somewhere quieter so I can tell you about it? Chance: Sure thing. Lead the way. The pair went into an office together as Christian headed for the stage. The show headed to commercial. Future Shock returns from the commercial break to find Christian Kincaid standing on the stage at the nightclub. He pulls the microphone off the stand as the crowd gives him their attention before he begins. Christian: I know there’s a karaoke contest tonight, but what I wanted to do was give you all a chance to hear someone perform that wasn’t added to that challenge. At Nemesis, you got to meet my newest client, “The Living Doll” Britney Anders. You gotta see her, you got to hear her. But see, in-ring talent is not ALL she can do. I haven’t found the form of entertainment yet that she couldn’t perform with outstanding skills. So tonight, You’re going to get to hear her singing in a performance I am sure you will never forget. With that said, performing her very own song made famous by Ariana Grande….please give a warm welcome to the one and only “Living Doll” herself…..BRITNEY ANDERS!! There’s a bit of mild applause as Christian steps to the side, and holds out a microphone awaiting his client to join him. The beautiful young woman walks onto the stage to a mixed reaction. She’s far from a fan favorite, but some of the men in the nightclub are fans of her appearance. Britney thanks Christian before stepping right into the middle of the stage, holding the microphone to her lips. The long, drawn out pronunciation of hey already garners a few jeers from the audience, but Britney perseveres, smiling. Britney: So, tonight not only is this my second appearance in Future Shock, but it’s my first time sharing my lovely singing voice anywhere among a wrestling audience. This is history in the making, aren’t you all excited!? She was charismatic, that couldn’t be denied, and it wouldn’t be due to again, a mixed reaction. Britney looks to the dj booth and nods. Britney: Play my song, dj guy. ‘No Tears Left To Cry’ cues up and as soon as Britney begins singing, the microphone omits a high pitched squeal, clearly due to her voice, but she immediately looks to the dj booth and shouts at the man. Britney: O-M-G cut it! Cut it now! The music comes to a screeching stop as Britney taps the microphone and then speaks into it again. Britney: I don’t know what you’re doing in that booth up there, but stop playing around with the microphone settings, okay? Everyone here wants a concert from their Living Doll and that’s exactly what they’re going to get, so lets try this again, and don’t mess up this time! The music begins playing once more as Britney closes her eyes with a smile on her face as the instrumental plays for a moment. When the vocal section begins, Britney begins singing, and the squeal returns and the boos begin pouring in as Britney continues singing her heart out. As pretty as she may be, her voice clearly wasn’t as beautiful as some people were actually heading for the exit doors while the boos got more aggressive, prompting Britney to sing louder to attempt to drown them out. Christian: Hang on, hang on. He moves back onto the stage as the music stops, and checks over Britney’s microphone. A shake of his head follows that as he looks to her. Christian: Clearly this club isn’t using the best quality equipment for it to be working like this for you. I have an idea that doesn’t require these microphones though. He turns back to the crowd. Christian: I appreciate you all booing the equipment this club is using. It certainly could use a better audio sound system. So here’s what we can do. He points over to a booth close to a far wall. Christian: Right over there, I’ve brought some Britney Anders merchandise. We got posters and shirts and autographed 8x10s. So you can go over there, and because of the poor sound system of this club…..everything is 10% off. Now if that doesn’t make it all better, I don’t know what will honestly. Britney leans in and whispers something to her manager, of course nobody else can hear it, but Christian looks at her and nods his head. He lifts the microphone back to his mouth. Christian: See what I mean about this crappy audio? I said 5% off, and this thing turned that into 10. This is ridiculous. In the meantime, Britney does have another engagement tonight. We’re going to ask that no one flood the exits trying to get autographs or anything like that. That’s what the booth is for, and let’s give her one more round of applause. He tucks the microphone under his arm, and does it himself to drown out the boos in the crowd since his hands are right next to it. He then lifts her arm to let her give a twirl before she heads off stage, and we cut to a highlight package from Nemesis. The words “Recorded Earlier Today…” appear on the screen as we see the interior of the Tunnel nightclub, minus a whole lot of people. Sitting in a booth together is Sara Wilkins and the reigning Future Shock Champion herself, Harley Shannon. The Future Shock title is sat up on the table in front of them. Sara: Sara here filing this report before Future Shock’s Girls’ Night Out special airs later tonight. I’m here with the two time Future Shock Champion Harley Shannon. Thanks for joining me, Harley! Harley: The pleasure’s all mine Sara. Tonight’s shaping up to really be something isn’t it? The club’s looking great, Adam’s signed off on some pretty interesting challenges. This is going to be a night like no other. Sara: It certainly seems that way. But the first thing I wanted to ask about was Nemesis. Your team won the elimination tag match, even though it came down to the wire. But for you, it seemed like you were taking on the entire Gold Standard yourself and on your way to your first elimination when that got short-circuited by Tara Cortez to let you know she has been named as the #1 contender to that title. I’d like to hear your thoughts on that. Harley: Well… the whole taking on the entire Gold Standard thing… that was more on them deciding they all wanted to get involved. They got a little bit impatient, so I did what I had to do to try and make certain Adam’s team came away with the victory, Personally, I’m a little disappointed that I didn’t get an elimination but you’ve already gone over the reason for that. Of all the times and all the ways she could’ve chosen to break the news that Adam’s made her the number one contender after her umm… long undefeated streak… it was pretty inevitable it’d be then, when she could make the most impact. Wouldn’t surprise me if I see her again tonight during the trivia challenge after what happened with Andi and the Whammy! Harley: It’s Tara being Tara, going whatever she can to get the spotlight on her and make a name for herself anyway she can. Sara: The date’s been set for that match. It’ll be February 26th when Future Shock makes it’s next international stop south of the border for the first time in Mexico City at the Arena Mexico. Being from San Antonio, there’s a good chance Tara could have a few fans there. How do you prepare for someone who has the kind of...I guess advantage...that Tara has made use of since she arrived here? Harley: Yeah, she might have a few fans down there, which is all well and good but the International shows have been pretty good to me so far. I’m sure Mexico will be the same too and Tara and I will probably put on one Hell of a show. A grin spread across her face. Harley: As for preparing for those ‘advantages’ of Tara’s as you put it… I don’t know. Maybe spray paint something across her chest just before the bell rings? Shave a skunk stripe right down the middle of her head? She shook her head as she broke into a short burst of laughter. Harley: Or you know, I just work on my stamina, treat it like a handicap match and go for knockout shots right from the off and try and get eyes in the back of my head as an insurance policy. Sara: The last question is not as much of a question actually. With the year coming to an end here in Future Shock, I’d like you to look back on 2018 and tell me what you feel were the highlights for you and if you have set any particular goals in 2019. Harley: Personal highlights… definitely the two matches with Gillie - I know one of them was at Velocity; at FFW Taps Out Cancer and not strictly a Future Shock show but those sort of close run, tightly fought contests against one of my main rivals, they’re always going to make my highlight reel. Then of course you’ve got the Sydney supershow for pretty obvious reasons. Oh - and the match with Bianca Reed was a classic. For 2019… hopefully beating Tara and putting together a nice, long Future Shock Championship reign and perhaps earning a spot on the main roster. Sara: I wish you luck on both of those, and tonight during the trivia challenge..
Sara looks back to the camera. Sara: Speaking of that, let’s send it back to the live show. And that’s where we go next. The cameras take us to the tables, and there we find the trio of women competing in the trivia challenge leaned against their seats when they are joined by Zack as he takes a seat across from them. Seated across from him are Harley Shannon, Lydia Charisma, and Valerie McKinley. Zack: Alright, ladies. This challenge is pretty straight forward. I got 5 Future Shock trivia questions here. Whoever gets the most right wins. The more specific you are, the better on some of these. Make sense? Each of them gives a nod of their own variety as Lydia and Harley lean forward, while Valerie still looks very comfortable where she lounges. Zack: Question number 1. What was the location of the very first Future Shock after the reboot? Let’s start with you, Harley. She ran a hand through her hair. Harley: What is the Staples Center in LA?!? Home of Global Wars this past Saturday - order the replay!! The flame haired woman grinned. Zack: Okay, this isn’t Jeopardy. You don’t have to ask the question, but I’m sure management appreciates the plug. What do you say, Valerie? 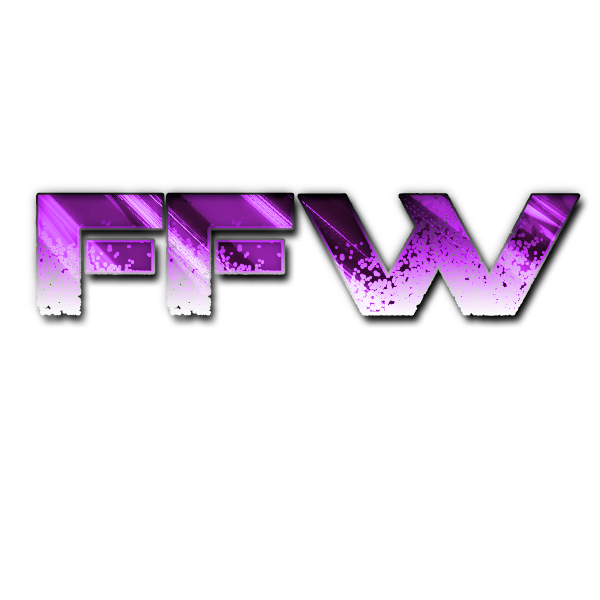 Valerie: The only city that matters in the FFW world….Los Angeles. Zack: We got two for Los Angeles. Lydia, where you think it was? Zack: You’re all three right on the money. It was in Los Angeles at FFW’s home arena, the Staples Center. Well done. One point each. Onto the next. Each of the girls looks appropriately happy with themselves as Zack continues. Zack: Who has the most reigns as Future Shock Champion? We’ll start with Lydia this time. Lydia: Hah, Jodie Gray... WAIT! I WAS JOKING! I WAS JOKING! THE ANSWER IS IGNIS! NNNNOOOOOO! Zack: Alright, to you, Valerie. Valerie: I can tell who it ISN’T, and that’s Harley. It must break your collective hearts, doesn’t it? She casually flips her hair over her shoulders. Valerie: Oh..you still want an answer. Ugh...fine. The answer is Ignis. Zack shakes his head for a second, and looks back to the Future Shock Champion. Harley: That girl gave flame haired girls a real bad rep, you know? Completely cuckoo. Zack: All three right again! Another point for each of you. Harley gave Valerie a look for a second before Zack continued. Zack: Question number 3. We’ll start with Valerie this time. Who is considered the most dominant Future Shock Champion in history? Valerie: As tempting as it is to put myself as an answer, the only other acceptable answer is Isis Morales. The first part of Valerie’s answer gets a chuckle from Lydia. Zack turns to her next. Zack: Lydia, what do you say? Zack: And what do you say, Harley? Harley nodded her head, a confident smile crossing her face. Harley: She held the title for almost a full calendar year with an vice like grip… that’s Isis! Zack: You ladies know your stuff. It’s a 3 way tie so far with each of you sitting at 3 points each. I’m impressed. Let’s see if I can make it more difficult. We’ll start with you this time, Harley. Zack shuffled his remaining cards, and began. Zack: Who was the first Prospect to successfully cash in the Aspire Ring to earn a shot at the Future Shock Championship? Harley’s face creased up in thought as she hit her buzzer. Harley: Was it Cereza Ithavoll? She was the first to three defenses. Was she a prospect when she did it? Zack: I’ll tell you after we hear from your opponents. Lydia, you’re up. Lydia: Cereza 'Put On Your Sunday Best' Ithavoll. Zack: That’s two for Cereza. Valerie, what do you say? Valerie: Well we know it sure wasn’t Harley over here, right? She glances over and smirks at a slightly scowling Future Shock champion. Valerie: But the answer is Cereza Ithav….Itha…...her. Zack: I’ll take that as an answer. Once again, all right. Another point for everyone. Harley and Lydia give one another a small high five, but Valerie shows no interest in joining them. Zack: Last question. I think we’re gonna have a stalemate here. We’ll start with Lydia this time. Name the event where the first ever Future Shock Tag Champions were crowned. Zack gave Valerie his attention next. Valerie: Resistance. Though may I just add that the BETTER and more IMPRESSIVE champions were crowned a couple of months ago. You’re welcome, Future Shock. Zack: Harley, what do you say? Harley had a confident nod of her head as she buzzed in to answer the question. Harley: It was Resistance, right? Resistance 2017 if you need the year too. Zack: I’m going to give the points to Lydia and Harley, since they were more specific in their answers. So we have two winners tonight, congratulations to Lydia and Harley. Valerie rolls her eyes, and immediately leaves the table. Harley and Lydia smile to one another for another high five before Zack shakes both of their hands. The show then heads to it’s first commercial break. The club begins thumping away as DJ Oro-- Uh, as O.E. Ayano continues to man the DJ booth as she had been all night. With one pair of microphones held up against her ear and her free hand quickly running through the controls. She looks at her phone before switching to the DJ Tray Club remix of “No Problems” by Chance The Rapper. As the song begins banging, O.E. puts her headphones on and grabs the mic. O.E. : Ayo what’s good fam, this your DJ, like rah-rah-rah DJ-Go-DJ-That’s-My-DJ... And the following is for one fall... Of the arm that is. The following is an arm wrestling match to decide who rocks the FS booth next to that dude Zack Hudson. Lyn: ...An arm-wrestling contest. She... She wants to decide this job over an ARM-WRESTLING CONTEST!? Zack: I’m not sure you should have agreed to this personally. You never meet the enemy on their preferred battlefield. Learned that from Sun Tzu, I think. O.E. : Introducing first... And tell me why this chick told me the exact song to play her out on.. Anyway... Comin’ through onto the main stage with... A briefcase and a Appletini... “The” Stephanie Stefano!! Steph comes down the stairs of the opposite side of the club, walking with a switch in her hips. She’s rolling just as O.E. says, a large metal briefcase in one hand and an appletini in the other. She sets the metal briefcase down on a nearby stool before cracking her neck and taking a seat on a stool opposite of a simple square table in the middle of the dance floor where everyone can see. All the while, “Love Like This Before Remix” by Faith Hill and Fatman Scoop continues playing. Never had someone to show me a love! Lyn: The song that was playing when we first... Wow. Zack, don’t ever get divorced okay? Ever. I woulda said don’t get married neither but life I guess. Zack: Well the boat’s already sailed on that last one, but no plans on getting a divorce. So that shouldn’t be hard. O.E. : Now, introducing second... That reigning, defending color commentary dude...! King of Commentary, and should probably be at a reggae dancehall somewhere... Lyn Dallins!! Lyn straightens his tie before getting up to the sounds of “Dude” by Beenie Man before he walks down the stairs to the dance floor, looking oddly at the briefcase before Stephanie gives him a finger wave with her pinky. He shakes his head in silence and asks ‘what are you playing at?’ but she ignores him and simply puts her arm up with a grin, making sure to flex a bicep as well. Lyn grumbles and takes a seat on the opposite stool before putting his hand up. The two grip hands and FFW referee Malcolm Parks walks into the shot, dressed in club attire that also happens to be striped centers their hands together. ...But not before asking both of them if they had seen Angelina. Steph shakes her head and tells him to give it up while Lyn tells Parks that she’s a dad now and to get a damn Tinder. Parks makes a grumble and begins explaining that the whoever brings the other’s hand down to the surface of the table is victorious. Zack: I appreciate the explanation from the referee here, but I’m pretty sure Lyn, Steph, and most of the world knows how this game is played. O.E. : Aight y’all we about to get this started now. Cheer for your favorite since we got a bird’s eye view before we get back to the club bangin’. Ready... Set... GO!! The two begin to quickly straining before Stephanie suddenly gets up and comments that she has a cramp in her arm, causing Lyn to overplay his strength in his arm and go face forward onto the dance floor to the laughter of the crowd. As Lyn pulls himself up, mouthing a few choice words, Steph seems to see someone in the crowd and waves at them with a grin. The Witch of Wall Street suddenly comments that her arm feels a whole lot better now and she’s ready to do this! Lyn sits back on the stool and puts down his elbow, staring daggers into Stephanie who just smiles at him and gets back into position. Zack: Glad to see Steph got her arm worked out now. Let’s see what happens next. Alright, O.E.! O.E. : ...Uh... Aight ya’ll let’s try this again. Ready... Set... GO!! The two begin to strain against each other. Almost immediately Stephanie’s arm begins pushing Lyn’s towards his side of the table... Before the King of Commentary begins to gain ground and ssslllloooowwwwwwllllyyyyy begins pushing her arm back... Slowly... Slowly... Slowly. Steph’s eyes begin to widen into saucers as she grows red in the face, pushing with her arm strength and yelling at Lyn that he’s retired, he has no reason to keep working out and he should be losing! Lyn just ignores her and keeps pushing, bringing Stephanie’s arm closer and closer to the surface of the table. Zack: It’s so close right now. This is the only time I can recall a job being on the line in an arm wrestling match! The crowd starts to stir as a woman in an expensive white fur coat stands up and struts toward the table. As she comes into the light, Cait Flanagan flashes a megawatt smile and allows the fur coat to drop, revealing a black bikini. She saunters past Lyn, waving to him and blowing him a kiss as she passes by. The young Irishwoman is careful to give Lyn - and anyone else who might be watching - plenty of time to watch her as she crosses the room, her hips swaying with every step. Lyn meanwhile is at a loss for words, looking down at his hand still on the table. O.E. : ...Damn. Uh... Here’s your winner and the NEW Future Shock Color Commentator, “The” Stephanie Stefano. That’s a way to go fam. Zack: What’s the old saying about men having 2 heads and only enough blood to run one at a time? Referee Parks raises Steph’s hand as she yells “Your next round is on me!” to the LOUD cheers of the Tunnel Nightclub. Adam: Riley….first of all, look at you. You look fantastic, but….I didn’t invite you to be a guest so you could work the door for the club. As he’s speaking, there’s someone outside looking in the window at the girls with their head almost pressed against the glass, clearly a creeper. Riley leans against the door just a little, her dress skimming the tops of her thighs certainly doesn’t give her the appearance of security, but there she stands, all the same. Riley: Hey, no I know… but your guy needed the bathroom so I was like, eh, why not? I’m not really much of a soclaiser anyway. Adam: Whatever you want to do. Just saying you were invited to enjoy yourself. If this works for you, that’s cool. How did the talks go the other night at Global Wars? The man looking in the window started heading towards the door. It was easy to see he wasn’t totally sober by the fact he seemed to be having trouble keeping his balance. Adam spotted him coming, and chose to ignore him hoping he might move on. But instead, he tried to make his way through the door. Adam: The club is rented tonight, private party. The guy ignored Adam, and started giving Riley a thirsty stare, and ran his tongue across his lips. Adam shook his head. Adam: No customers tonight, chief. Like I said already, private party. Whilst Adam Tried to talk some sense into the Obviously inebriated Guy, Riley rolled her eyes, until he moved his hand as though to grab for her, taking him at the elbow she sidestepped and bounced his face off the door frame, shattering his nose in the process and letting him fall to the ground. She moved a step away from him and shook her head, then smiled at Adam. Riley: Sorry, what were you saying before we were so rudely interrupted? The original bouncer came back, and saw the man on the ground and shook his head. Bouncer: I throw this guy out every week at least. Adam and Riley headed back into the club. He looked over her shoulder to see the bouncer taking care of the mess before giving Riley his attention. Adam: I was asking how the contract discussions went. I didn’t get a chance to follow up after the show, because of meetings. Reaching the bar, she slid onto a stool and adjusted her dress with a small smile. Riley: Well, actually. We’re somewhere in the middle of processing the paperwork, so that’s promising I think. Adam: Congratulations then. It’ll be nice to see you around more often. I’m definitely looking forward to it. But that doesn’t mean aren’t gonna come for visits to Future Shock, I hope. I mean unless Tuesday night is prime pervert question night on Twitter or something. She laughed softly, leaning her head to the side with a slight nod. Riley: Of course, I wouldn’t want to just up and abandon you when we’ve just started to develop this friendship now would I? Believe it or not, I can pull myself away from perverts and rumor mills occasionally, for the right occasion. Adam: Don’t I feel special? As the bartender comes over to see what Riley would like to drink, the cameras head elsewhere. Future Shock returns from the break as we head back to the stage, while the karaoke contest is preparing to start. When we cut down to the floor, we see Zack….and Steph beside him this time. Zack: Welcome to the broadcast booth…. You start tonight, Steph. Are you ready to see which of these three Prospects has the best set of pipes? Steph: Welcome. Now, Zack if I say that my money is on Cait... Is that too on the nose at this point? The camera turns back to the stage as Adam steps up to the microphone standing ready for him to use when he begins. Adam: Alright, guys! It’s time for the karaoke contest! And since it’s his last night now on Future Shock, I’m going to let Lyn Dallins decide the winner. So let’s get this started, and have the sole survivor at Nemesis start us off. C’mon up here…..NORA HARRIS!! Nora heads onto the stage with a Santa cap on her head. Adam hands her the microphone, and steps off before the song starts to play with her providing vocals. Nora: Santa Baby, just slip a sable under the tree, For me. Nora takes the microphone off the stand, and holds it closer to her mouth as she continues to sing. As she continues to sing, she starts walking to one side of the stage with a smile on her face, obvious that she’s having fun. As the song comes to an end, many of the patrons give her a round of applause. Nora takes a bow, and replaces the microphone before she heads off stage. Zack: Well that was a terrific performance right there! How’d you like Nora’s performance of the old classic from the 50s, Steph? Steph: I think half the fanbase melted. Hands off kids, only Aiden Quinn gets to play Santa. Adam: Well that was fantastic! Well done, Nora. Alright, coming up next is Cait Flanagan. C’mon up, Cait. Adam leaves the stage again, and Cait steps up in a blood red dress that looks almost like it’s painted on before she invites Kyle to join her on stage. Cait: This performance requires one other person. C’mere. Kyle joins her with a curious look, and gives her his undivided attention before she begins her performance. She looks at him as she sings, detaching the microphone from the stand and holding it against her as she continues singing. It’s obvious Kyle appreciates the performance as Cait continues to sing with almost an inviting tone as she moves towards him. The camera shoots over to see Lyn watching with an occasional eyelid twitch, and then back to the stage as Cait begins to walk around her manager in a circle. The song fades out as Cait whispers something into his ear before she smiles up to him. Kyle has a smile on his face as they head back to the floor together. Zack: Well….If any of our viewers need a cigarette, they may be taking a smoke right about now. Steph, what’d you think? Steph: I know Kyle’s happy at the least... Lyn’s having war flashbacks but *I* enjoyed that performance. Peggy Lee is a mood. Adam heads back up to the stage, blinking a few times and moving towards the microphone to begin again. He clears his voice quickly. Adam: Well...that was a very interesting performance. I don’t envy Lyn having to pick the winner here. But now for our final entrant, “The Lioness” Elizabeth Lannister! The blonde bombshell heads up onto the stage as Adam leaves, casting a bit of a cold stare towards her two fellow performers before the music begins once more. She snatches the mic off the stand, and starts looking down to the people watching her on the floor. Her eyes start looking down at men watching from the floor as she really begins to get into the lyrics as she starts dancing a little. The song comes to an end as Elizabeth replaces the microphone. Cait and Nora return to the stage, keeping an eye on one another as they look back to see the judge. Zack: Now it’s time to see who your ex-husband thinks won this contest. He’s got a tough choice ahead of him. Who do you have, Steph? Steph: You know, Nora did have a set of pipes on her but I’m kind of struggling between Miss Lannister and Cait. It’s really neck and neck there. Lyn: Oh man... This is going to be suchahardchoiceto-Nora wins. This brings a wide smile to Nora’s face as she claps her hands together….at least until Cait jerks the microphone off the stand and holds it to her mouth. She looks back to Lyn with a cold stare….and spins into Nora, driving it into the side of her head. The microphone makes a loud thud each time it connects with Nora’s head, causing her to fall to her knees. Elizabeth shrugs her shoulders, and heads off the stage before Cait pulls Nora up and delivers her double underhook facebuster into the stage. Security head onto the stage as Cait heads for her manager before they even get to her. She holds the microphone out from her chest, and lets it drop with a grin on her face. And as security goes to help Nora, Cait offers a devilish smile as Future Shock fades off the air.